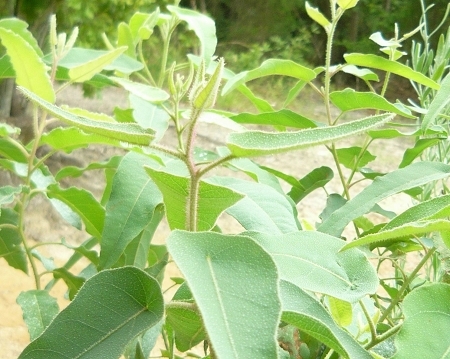 Lemon Eucalyptus - (eucalyptus citriodora) Elongated green leaves have an unbelievable sweet lemon scent when crushed. Said to repel insects, dried leaves are commonly used in sachets and potpourri. Can grow quickly into a very large and tall tree in tropical climates when planted in the ground. Develops an attractive smooth bark when the tree is older. Can be container grown indoors with adequate light. Needs well-drained soil and sun. Cannot ship during extremely cold weather. Perennial zones 9-11+ Live plant in 3 inch container. Very healthy tree. It is small and slow to grow but it is very fragrant. Bought it to plant with other plants to keep mosquitos away.